According to a recent article on Yahoo.com, a brewing battle between a Florida lesbian couple could spark an important debate over the definition of motherhood. The women are both in their 30s and both members of law enforcement. One of the women donated an egg that was fertilized and implanted in the other. That partner eventually gave birth in 2004. In 2006 the couple split up and the birth mother left the state with the child without informing her former partner. The egg-donating woman eventually tracked them down in Australia and began a battle to get the child back in Florida. The fight has now made its way to the Florida Supreme Court which has not yet decided whether it will hear the case. A trial judge ruled in favor of the birth mother saying the biological mother had no parental rights under Florida law. The lower court judge was quick to point out that he hoped to be overruled, but until then had to follow existing law. The 5th District Court of Appeal did as requested and sided with the biological mother, holding that both women had parental rights to the child. The case combines several controversial issues, including a 1993 state law regulating sperm and donation and a larger question of the constitutional right of homosexuals to raise children and be entitled to equal protection under the law. The Florida duo isn’t the only lesbian couple embroiled in such a dispute. One Virginia woman who renounced her homosexuality has been in hiding with her daughter since a 2009 court decision requiring that her former partner be given custody. Closer to home, former North Carolina state Sen. Julia Boseman, the first openly gay member of the state’s Legislature, is suing for joint custody of a 2-year-old son born to a woman Boseman referred to as her spouse. In the Florida case, the Court of Appeal decided that the women’s decision to separate did not dissolve the parental rights of either woman. This despite the argument by the birth mother citing the state’s law on sperm and egg donation, which says that donors “relinquish all maternal or paternal rights,” to argue that the biological mother wasn’t the child’s parent. The appellate court reversed the lower court judge in a 2-1 decisions finding that the biological mother wasn’t merely a “donor” under the law because she and her former partner intended to parent the child together. The Court ultimately found that they could not find any valid legal reason to deprive either woman of parental rights. The majority further ruled that the donor law was unconstitutional as applied to this case. The dissenting judge further argued that by trying to determine the couple’s intent at the time of donation the door would be open for future donors to “make an after-the-fact claim” for parental rights. 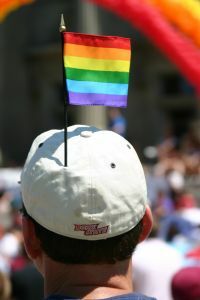 Though some conservative groups in the state have attacked the decision as being pro-gay marriage, the biological mother’s attorney said that the majority decision isn’t a gay rights decision: “It’s a pro-parent decision.” She went on to acknowledge that it does solidify gay couples’ rights relating to children that were the product of their relationship. Everyone agrees that the legislature needs to take further action to clarify a confusing issue. Existing laws were never meant to address situations like this, ones that arise more and more frequently. If you find yourself facing a complicated custody battle then you need the help of an experienced Charlotte family law attorney who can help guide you through the difficult process.